Qutubuddin Aibak laid the foundation of Qutab Minar, as a victory tower, in 1199 AD. Originally, it rose to a height of 72.5 m. It is undoubtedly one of the finest stone towers in India and one of the most important landmarks of Delhi. Iltutmish, the son-in-law and successor of Qutubuddin, completed its construction. Built in red sandstone, this tower sports the inscriptions of verses of Holy Quran and some intricate carvings. One can also see the ruins of the embattlements of the city called 'Siri' here. It was established in 1303 AD by Ala-ud-Din, who dug a vast reservoir in Hauz Khas to supply water to his city. Situated in the courtyard of the Quwwatu'l-Islam, the famous Iron Pillar belongs to 4th century. It is enclosed in the Qutub Minar complex of New Delhi. 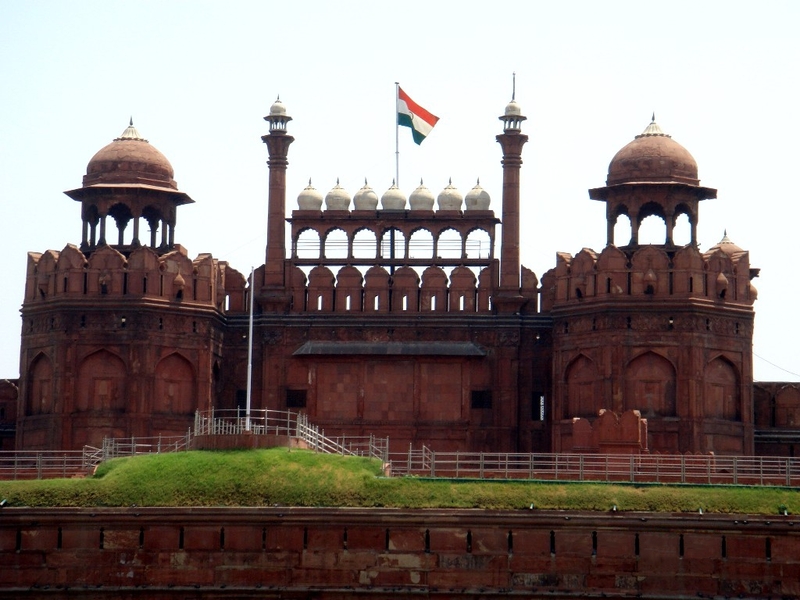 Red Fort or the Lal Quila as it is known was built by the Mughal Emperor Shah Jahan. The foundation stone was laid in 1618 when Shah Jahan decided to move from Agra to Delhi and the Fort was inaugurated in 1647.The two most important places to see within the fort are the halls, one for public audience - 'The Diwan-e-Aam' and the second for private audience - 'Diwan-e-Khas' which once housed the Peacock Throne which was plundered by Nadir Shah in 1739.The fort also stands witness to the end of the Mughal rule and India's freedom for the colonial rulers in 1947. Since then, on every Independence Day, The Prime Minister of India addresses the nation from this old Fort. The Tomb of Humayun was built by Bega Begum the last surviving wife of Humayun, the second emperor of the Moghul Empire, in 1565. 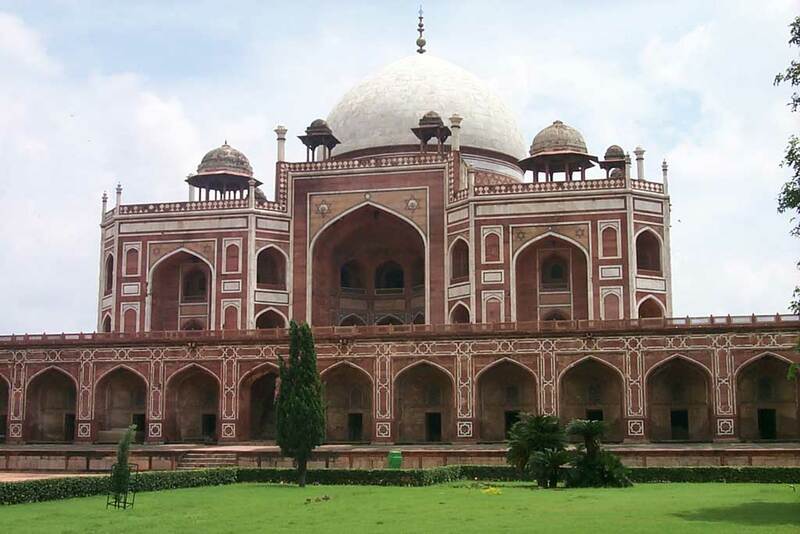 Legend has it that the design of the Taj was inspired from this tomb's. In pure architectural sense, this building is probably superior and much more beautiful that the stunning Taj. The complex took nine years to complete and the tomb itself is a dazzling landmark in the evolution of Mughal architecture in India. Hamida Begum is said to have spent one and a half million rupees on it and you just have to see it to know that every penny was worth it. 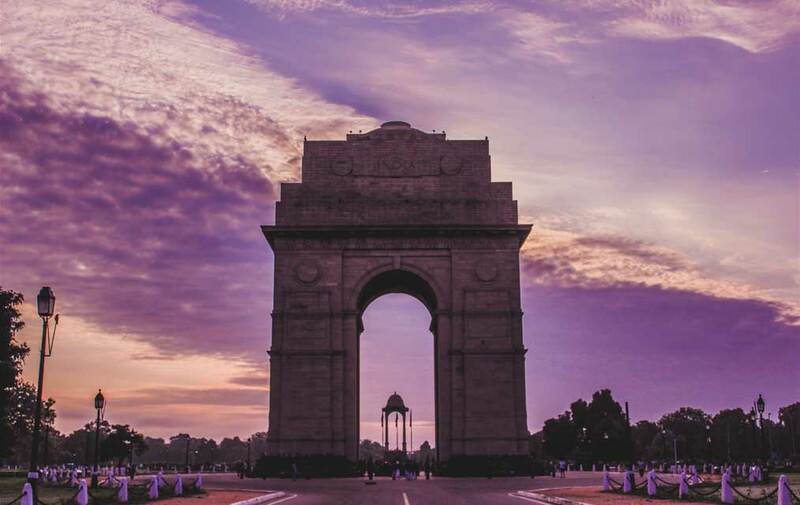 Located on the Rajpath (the Royal Road), the war memorial arch, India Gate, was built by the British in the honor of 9000 martyrs, who lost their lives in the First World War and Second Afghan War. Originally known as All India War Memorial, it has the names of the soldiers who died in the wars inscribed on its walls and is 42 m high. Since 1971, there is the eternal soldier's flame burning under it, known as 'Amar Jawan Jyoti'. It is here that the Republic Day Parade takes place on 26th January every year.